So, as many of you know, my sister is going to be having a sweet baby girl in just a few short weeks! This weekend we got some close friends and family together in order to celebrate the arrival of this precious little one, and just generally have a good time. 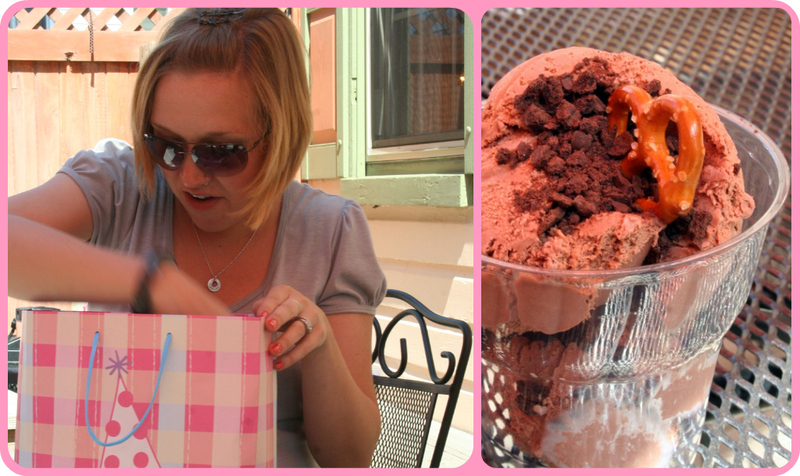 Because this is their first girl, and because a little baby shower is often called a 'sprinkle' we went with a cute little ice cream party at this adorable little ice cream shop just down the street from her house! Here is the guest of honor arriving with our mom! She knew that we were doing something, but she didn't know any of the details, so it was cute to see her take in all the people and the decorations. We kept it short and sweet, the guests each got their own sundae and we happily chatted while Emily opened sweet baby gift after sweet baby gift! She was given so many adorable baby dresses, which is good, 'cause, you know, her son didn't wear a whole lot of them to pass down to his little sister! We had so much fun, and it was really special to get together and celebrate this little life that Emily is carrying inside of her. 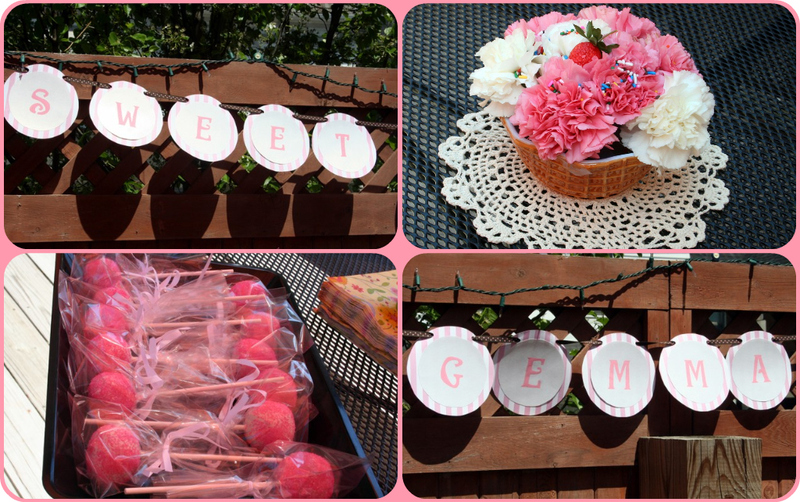 Gemma will be here any day really, and we are all anxiously awaiting her arrival! One last picture...when I found out I was pregnant, I had this idea that Emily and I would get a cute sister picture with our bellies touching. Well...I have a tiny bump, and she is about to pop, so we thought this might be our only chance! It cracks me up how her big 36 week belly completely knocks my 16 week belly out of the park! Still, it is such a cool thing to go through even a little bit of our pregnancies at the same time! We are both very blessed! Aw, what a sweet idea! Literally! You are so blessed to have a sister close in age. You guys look adorable! So precious!!!! You are an amazing sister - love the "Sprinkle" idea!!!! Hope you are feeling great mama! You really had a great idea of how to make an expecting mama happy. what a beautiful and NEAT shower you have. Emily is certainly blessed to have a sister like you.